With yet another year coming to a close, we thought it a good time to reflect upon yet another year of sheepish maps and blogposts, recounting what we have accomplished, perhaps mostly so that we don't dare attempt such goofiness again. And so we give you the Top 10 Floatingsheep posts of 2014, ranked according to the number of page views each received. Feast on these last remnants of 2014, and a happy new year to all! What was thought to be something of a throwaway post came from the shadows to become 2014's most viewed blogpost, largely thanks to some Redditors who took the map a bit too seriously, if we do say so ourselves. 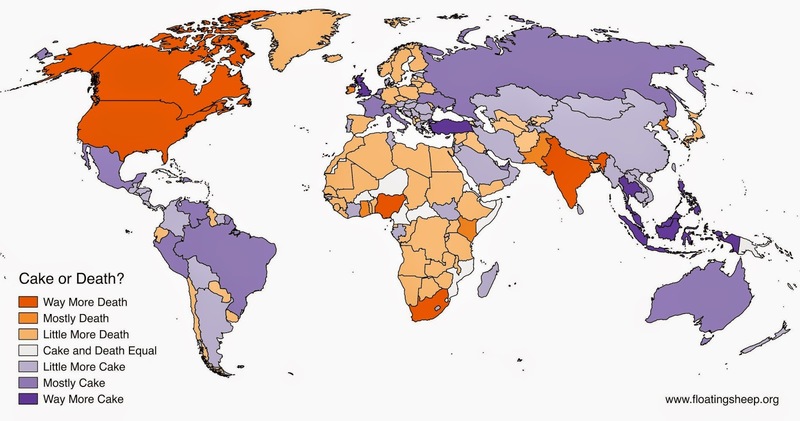 Based on some great work by Matt and Ate, the map below (and others from the same book chapter) has become a staple of Vox's explanations of alcohol this year... see here, here and here. 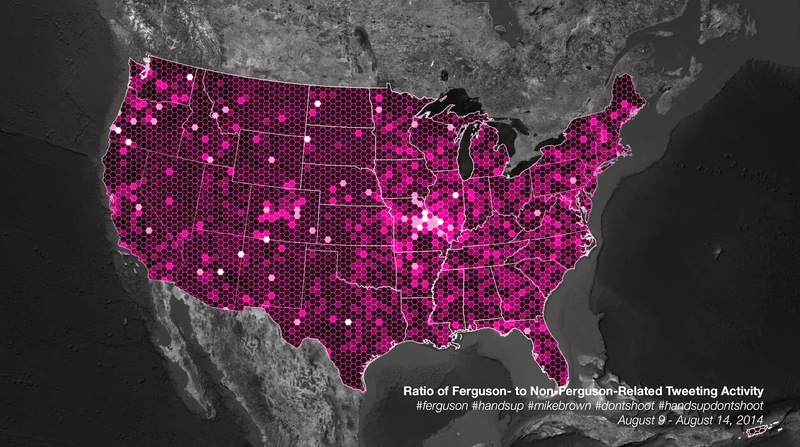 The product of the Inaugural #IronWilson Map-a-Thon, this map and post was our attempt to counter some problematic uses of geotagged Twitter data in relation to the then-nascent protests in Ferguson, Missouri, and highlight the persistent limitations of this sort of work when dealing with issues as complex and fraught as violence and structural racism. One of the biggest missed opportunities from the 2014 IronSheep dataset, our series of maps of George Carlin's infamous seven dirty words didn't yield a whole lot except for excrement. 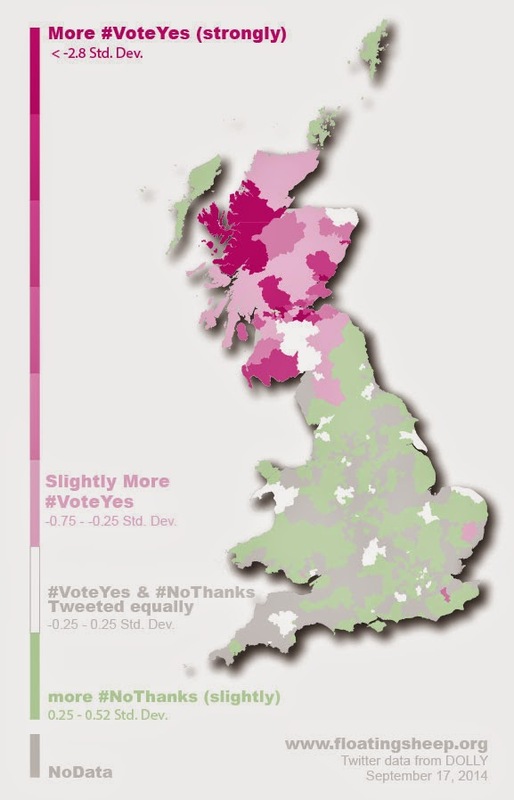 While the Scottish ultimately decided to remain a part of Great Britain, some of our maps helped to demonstrate persistent cultural divides between the English and the Scottish, and the fact that "the Scottish referendum [was] not just simply about 'yes' or 'no' but seemingly touche[d] on much more fundamental questions of ovis-based cuisine, men's wear and mythological creatures". Indeed. Some more work by Ate and Matt for a journal article yielded the discovery of what will surely be recognized in time as one of the most fundamental geographical phenomena known to humankind: the 'Bro-ughnut' of New York. There are few places as distinct as the American South when it comes to cultural patterns expressed through geotagged tweets, as our mapping of references to "y'all" helped to confirm. #8 Crowdsourcing Cake or Death? 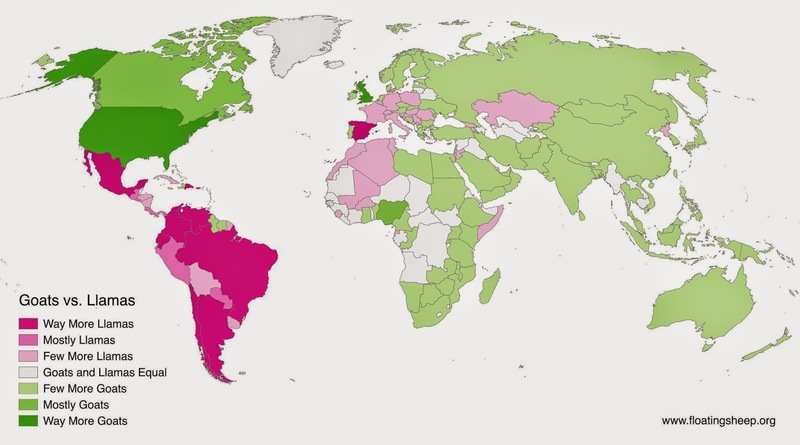 While the choice between cake or death seems like an obvious one, our maps of references to these terms yielded a much different -- and troubling -- result. #9 Are there really more juggalos than polar bears? "As our analysis has shown, there is more to the story of juggalos and polar bears than meets the eye. 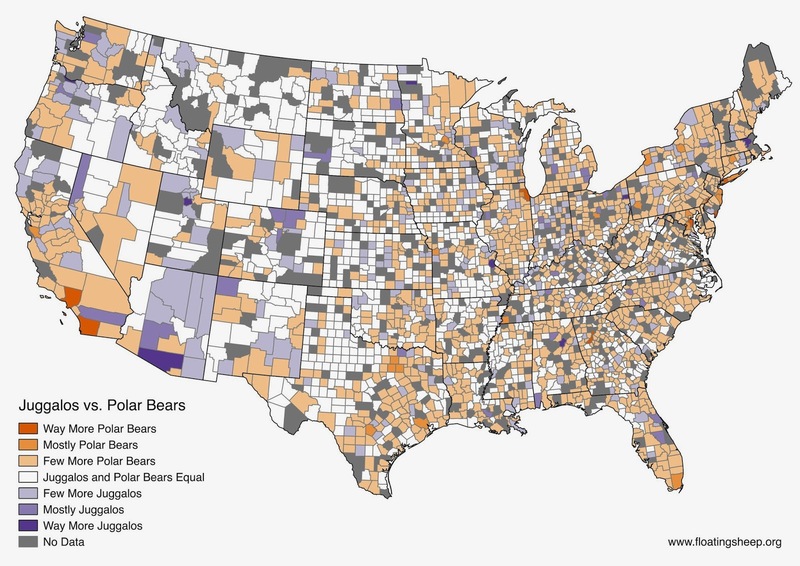 Clearly, there are more references to polar bears than to juggalos, both globally and in the United States. But the relationship between these two is considerably more complex and contradictory than is assumed by David Cross and his ilk. Obviously more research is required as ten-second gifs are not up to conveying the complexity of the juggalo-polar bear ecosystem." Despite Lexington, Kentucky being at the center of a online controversy around a Bronies vs. Juggalos street fight, the Floatingsheep home base didn't have much online activity around these two subcultures. In fact, when taking the epic street fight online and evaluating the epic tweet fight, we couldn't help but declare it a draw.